Here’s an overview of the main factors that impacted the copper market in Q1 2019, and what’s ahead for the rest of the year. The first quarter of 2019 brought peaks and valleys to copper’s performance, as the red metal generally trended upward but had a far from perfect record. With price jumps from supply concerns to drops from a potential trade deal between China and the United States, the last few months have proven to be a small rollercoaster for the base metal. 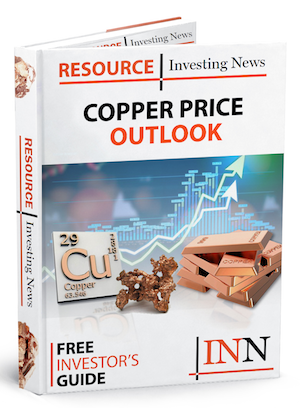 As Q2 is now underway, the Investing News Network (INN) caught up with analysts, economists and experts alike to find out what’s ahead for copper’s supply, demand and price point. Copper’s performance on the London Metal Exchange (LME) has generally been positive, but, as previously mentioned, it has not been without its fair share of drops. As the chart below shows, the base metal started the year off on a downward note at US$5,838 per tonne, dropping 2.11 percent from its 2018 close of US$5,964. Copper then managed to slowly but surely claw its way up past the US$6,000 mark by January 18, reaching US$6,021; however, the glory was short-lived, as the commodity immediately dropped back down to the US$5,000 range the following day. The end of January saw the red metal finally break free of its US$5,000 chains on a consistent basis, spending the first half of February fluctuating between US$6,100 and US$6,200. In February’s second act, copper experienced its most significant rally of the quarter when it climbed from US$6,188 on February 15 to US$6,545 by February 25. According to FocusEconomics economist Nicolas J. Aguilar, the base metal was able to flex its strength this past quarter on the back of a weaker US dollar and growing optimism towards US-China relations. “Progress made in the US-China trade talks through January and February prompted President Donald Trump to suspend a tariff hike on US$200 billion of Chinese imports planned for [March 1]. China’s markets rallied on the news, buttressing demand for the red metal,” Aguilar told INN. Further progress with trade talks helped carry copper’s price point through March, as the commodity ebbed and flowed in the US$6,400 to US$6,550 range for most of the month. Late March saw US officials travel to Beijing to continue trade deal progress, with US Treasury Secretary Steven Mnuchin tweeting on March 29 that “constructive” talks had been concluded. The commodity ended the quarter on a reasonably high note at US$6,484. A hot topic surrounding copper this past quarter has been that of a potential supply shortage. Between disadvantageous weather conditions in some of the world’s largest copper-producing countries and community turmoil directly affecting operations, supply concerns have been floating around the space. One notable impact to copper’s supply worries this quarter came from MMG’s (ASX:MMG,HKEX:1208) Las Bambas mine in Peru, where local protestors disrupted outbound concentrate transport with blockades on a public road. The protests continued throughout March, leaving market watchers uneasy about the major supplier’s status going into Q2. 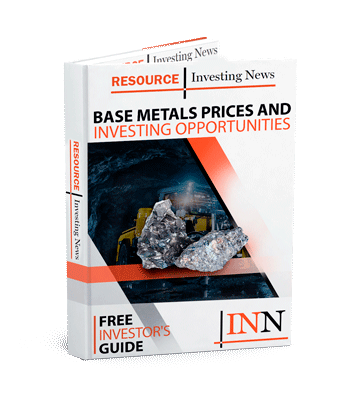 “The dispute at the Las Bambas mine is preoccupying some quarters, given that this is already a year where mine supply looks set to post its second decline in two years,” Karen Norton, senior analyst at Refinitiv, formerly Thomson Reuters Financial and Risk, told INN. Aguilar also highlighted the community action at Las Bambas as an issue for the copper market during 2019’s first quarter. “Supply headwinds in some of the world’s largest copper-producing countries in the first quarter point [towards a supply shortage]. Mining activity fell in Chile through the first two months of the year, partly owing to adverse weather. Meanwhile, shipments from Peru’s Las Bambas mine — a significant supplier to China — have been blocked by protests,” he said. While MMG stated that production itself hadn’t been directly impacted, the month-and-a-half strike affected personnel transport, inbound and outbound logistics and product transport. Shipments were also delayed by the protests as stockpiles at Peru’s Matarani Port continuously shrank. In early April, a resolution was finally reached between the company and the local community. Another topic being discussed in the copper space is the amount of projects currently in production around the world, which some analysts feel there simply aren’t enough of. “Copper is very vulnerable to supply shortages, and we do need a good pipeline of projects to meet demand growth. At the moment the pipeline is very thin, and exchange inventories are low,” Dan Smith, head of commodities research at Oxford Economics, told INN. Ross Strachan, senior commodities economist at Capital Economics, believes a lack of investment into copper assets could play into a potential shortage. Also noted by analysts was the status of China’s economy, which played a significant role in copper demand over the last quarter. Under the spotlight especially were Chinese car sales, which dropped 14 percent in February according to CNBC. “The industry was worried about weak demand growth in China in Q1 as economic signals were mixed. While consumers are expected to help drive copper demand over the next few years, the recent weakness of car sales cast some doubt on this as a potential driver,” Oxford Economics’ Smith told INN. Sentiment towards the world’s second-largest economy has wavered over the last several months as the potential trade war with the United States has remained an ever looming cloud. “Concerns about more subdued economic growth in China remained a feature, but the situation has been managed quite deftly by the authorities, with the drip feed of infrastructure spending and tax cuts enough to keep expectations reasonably upbeat for copper demand as growth continues from a large base,” Norton said. However, optimism surrounding a possible deal between the two major nations lifted copper prices and demand through the quarter. While Norton feels that a deal could calm the nerves of antsy investors, she noted that it may not serve as a permanent solution. Echoing a similar sentiment to Norton was CRU Group Principal Analyst Robert Edwards, who feels that any market positivity from the talks has already been factored into the price, and that a deal won’t make a drastic difference. “I think there is some expectation that there will be a positive outcome to those talks already baked into the price. So I don’t think it will make the difference between copper being at US$2.90 [per pound], or US$3 versus US$3.20; it’s going to have less of an effect on the net at this point,” he said. Copper price update: What’s ahead? As 2019’s second quarter begins, the trade talks remain an ever important factor for the red metal’s performance. In FocusEconomics’ most recent monthly commodities report, the firm highlighted the potential deal as a continued driver going forward. “Copper prices remain tied to the outcome of the US-China trade talks, which so far look productive, as officials extended the negotiation period in order to iron out the details. An agreement could be reached after Trump and Xi Jinping meet later in May,” the report says. Going forward in Q2, Smith believes that copper prices are set to continue upwards with “global risk appetite” being cited as their main driver. Norton echoed the idea that prices could bloom over the next quarter, but noted that it could take a significant blow to production and supply to see notable growth. In response to a poll put together by FocusEconomics, ANZ (ASX:ANZ) and BMO Capital Markets held the most bullish forecast for copper’s Q2 price at US$6,900; on the other hand, Liberum Capital took the most bearish stance for Q2 at US$5,732. A very helpful article. Elsewhere I read that Chinese demand for iron ore is lively enough for dry-shipping rates to improve recently. Whether that is a short-term or long-term effect though, who can tell. I wonder meanwhile, if the prospects for the U.S. dollar will begin to hit the copper price at some point? The increases in U.S. rates are small at present, and the latest Fed comments dovish, but the current consensus seems to be for another couple 0.25% steps upward this year.